Five Star Retractable Systems are kinetic: built to move! Each system is carefully specified and built for the area in which it will be used, the type of protection the customer desires and is customized for how it will be used. Our materials are designed for performance, whether you need a retractable structure for a year-round pool in the mountains of North Carolina or retractable screens for a covered porch in the Tidewater region of Virginia. Retractable Structures provide a clear-sky view, full ventilation and may be free-standing, a lean-to attached to a building or structurally part of a building such as a retractable roof. Glazing choices range from safety glass to polycarbonate in a variety of weights and transparencies. And as specifications for the structure are created, building codes, year-round weather conditions in the region and how the structure will be used are important considerations. Portable structures can also serve as free-standing clean rooms within scientific and industrial settings. Please visit our gallery to learn more about the types of retractable structures we can create. Retractable Skylights are installed within a roof structure and the retracting segments open in one direction (either up or down) in a pitched roof or in one or both directions on a flat roof. A motorized opening system operated by remote control and/or a mounted switch is used to open the panels partially or almost fully. Watch the video to see an example of our retractable skylight roof on a Raleigh, NC restaurant. 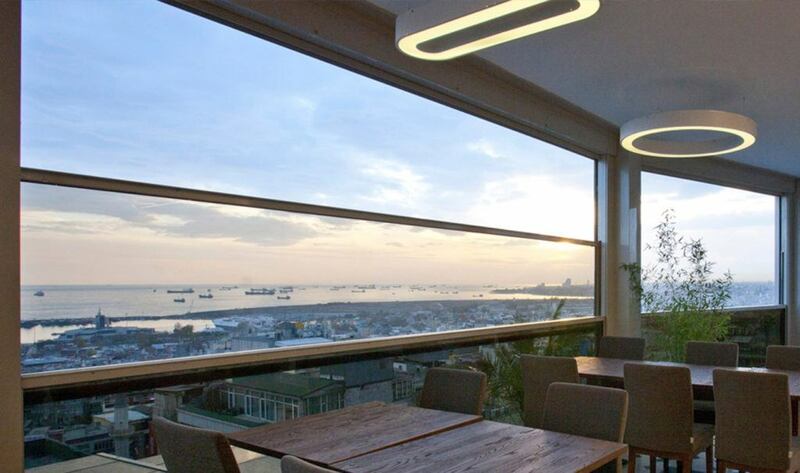 Retractable Windows or Doors can be installed in a wall or they can be a glass wall. Doors open in an upward direction and windows can open in an downward or upward direction. Window segments stack as they open, creating a glass wall that provides an outside view. 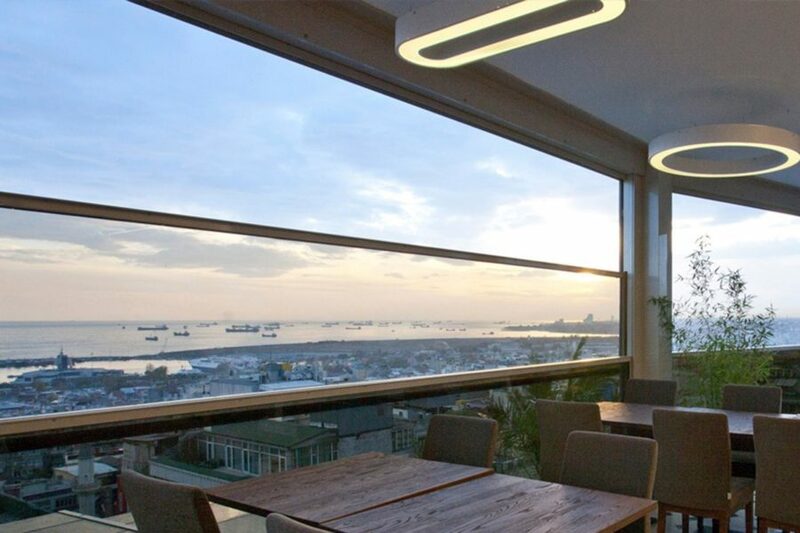 See retractable window and door installations in our gallery of the Libart products we represent. Retractable Screens are available for architectural openings such as doors, windows, covered porches, lanais, garages and for indoor areas like arenas. Features can include any combination of insect protection, ventilation, solar and wind protection plus privacy. Decorative screens offer opportunities to add artwork or your branding to the screen. Retractable screens offer options for manual or motorized operation and may have sensors to open or close automatically when bright sun or high winds activate the sensor. 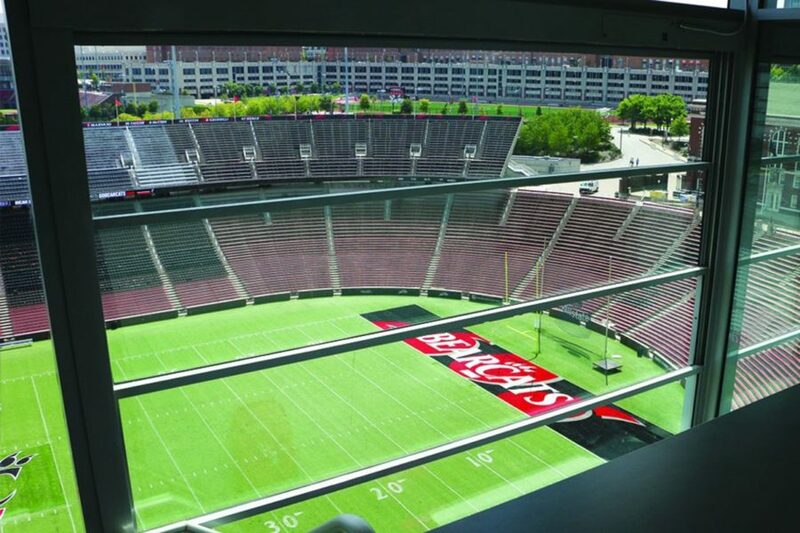 To view our videos of our retractable screens in operation, please see our media page. Retractable Awnings create shade and provide solar protection in areas where intense sun makes a patio, porch or deck too hot to enjoy. They also protect human skin, and pets from too much exposure to sun and indoor, and outdoor furnishings from fading. Awnings are motorized and may have sensors to open or close automatically when bright sun or high winds activate the sensor. To view our videos of our retractable awnings in operation, please see our media page.